Caroline is an entrepreneur with deep experience in neuromarketing, branding, and startup launch and strategy. 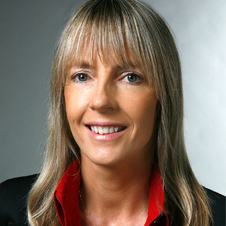 Caroline co-founded the pioneer company in the neuromarketing industry, NeuroFocus, which was acquired by Nielsen in 2011. She is currently on the Advisory Board for five startups in Silicon Valley. Prior to NeuroFocus, Caroline ran companies in the publishing and recycling industries, and was a professional concert violinist. Caroline is a frequent speaker at industry conferences on how to apply neuroscience to marketing and business issues.